That was Bill Berloni’s response to my e-mail requesting a convenient time for a phone interview. Having read his book, Broadway Tails, I wasn’t surprised. Travelling 500 miles to pick up two pigs when he had twenty-three dogs, four chickens, four horses, a donkey, a pony, a parrot, and two cats at home, was just part of­­­­ his job. Bill Berloni's job is not only unusual, but fascinating. Simply put, he teaches animals to act. 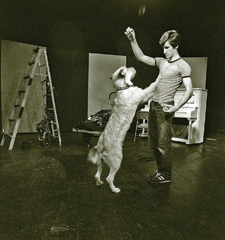 Over the past thirty-five years, he has trained mice, rats, cats, lambs, pigs, pigeons, canaries, cockatiels, and of course, dogs, to perform in theatre, films, television shows and commercials. Bill received the 2011 Tony Honor for Excellence in Theatre. P: Why are you going so far to get the pigs? Will they become actors? B: Yes. They’re for an upcoming musical. I got a call that a white pig is needed for a main role and I always get a back-up. I don't usually buy animals; I use rescue animals, but pigs are very specialized and only the Kunekune are small enough for this role. I’ll need two years to prepare them for their parts. P: That sounds like a long time. Do dogs take as much time to train? B: No. Pigs are really hard. I will be expected to train these pigs like dogs, but what you can get from them is limited. Dogs are much easier. P: Speaking of dogs, how did you get started in this business? Can you tell me about Sandy? B: Sandy was the first dog I found for a show. It was 1976 - the original production of Annie. I was nineteen, in acting school, and offered a deal: find and train a dog without spending any money and I'd get my big break into acting. The dog had to be medium-sized and a sandy color. I went to one dog pound after another. Finally at the end of the day I found a scruffy, dirty, skinny dog with the saddest eyes in the world. He hid in a corner and no one could touch him. I didn't have seven dollars and he was going to be euthanized the next day. There wasn't time to show him to the director and producer, so I borrowed money and just took a chance. They approved. He was the right size and the right color. P: How did you know how to train him? B: I didn't have a clue. Out of sheer desperation, I used what I knew about my dog, Rexie, when I was a kid. I had to build trust with Sandy, then use his natural abilities.I had him with me all the time and got him used to the stage and sets and invented things as I went along. The rest is history. Annie was a huge success. 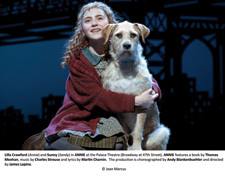 We went to New York and Sandy starred on Broadway for the next seven years working with five different Annies. P: Sandy was such an important part of your life. If you could tell him one thing now, what would it be? B: I promised him if I ever got another dog, I'd rescue it from an animal shelter. "Buddy," I'd say, "we're still doing it!" I'd also thank him for giving me the courage to take on our ground breaking current project, Because of Winn-Dixie. P: I'd like to ask about your involvement with animal rescue. And, who do you mean by we? B: We means my wife, Dorothy, and me. As far as rescue work, my dream of letting the world know shelter dogs are worthwhile is coming true. I don’t know why people buy puppies from puppy farms. Maybe they’re unaware. P: What changes have you seen in the last thirty-five years? B: There used to be just dog pounds. Now, we have rescue/adoption centers. We are not a no-kill nation yet, but we are a lot closer. P: Earlier, you mentioned your current project. B: Yes. The animals I've worked with have been onstage for small amounts of time, but Dorothy and I wanted to change that. So we wrote a musical about the human bond with dogs and the dog will be onstage the entire show. Dorothy is the brains behind the concept. The dog is not the hero in this show. He is just a dog. I believe dogs are great just being dogs and by being with us they can change our lives. P: What's the name of the musical and when will it debut? B: It's called Becase of Winn-Dixie. It's based on a children’s book and will open this December at the Arkansas Repertory Theatre. We wanted to do our first show in middle America. Then we hope other theatres will pick it up and eventually we want to play on Broadway. P: You are a famous and sought-after trainer. Are others using your methods? B: I use positive reinforcement which is new to entertainment. If you want to force an animal to do something, you've got the wrong person. I believe if you make animals happy while they’re doing something, they’ll continue to want to do it. Dogs get bored. You have to switch up the rewards and have an arsenal of toys. I hope other trainers are watching. 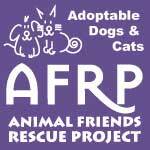 P: Are other trainers using rescue animals? 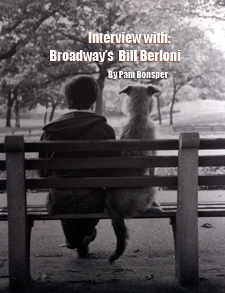 B: When I started, the only rescue dog was Benji, and he was in a movie, not a live performance. Now people have seen what I can do and I hope my competition is rescuing rather than breeding for performances. P: Have your training cues changed over the years? B: I still use the same philosophy—use the animal’s natural tendencies. I needed a dog who barked for Legally Blond, so I went to the shelter and found a dog who wouldn’t stop barking. He’s still barking - at my house! As far as how they have changed, I have more confidence now. Twenty years ago, I wouldn’t have had the guts to do Winn-Dixie This will be the first time an animal will be on stage for the entire production. P: Are there differences between human and animal actors? B: People do things for self-gratification; animals [do things] to please us. They are much more honest performers. When a human goes on stage we know they’re acting. When animals go on stage it’s the truth. P: You co-authored Doga. 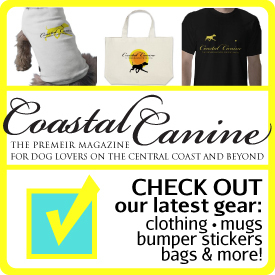 Do your own dogs engage in this practice? B: No. I didn’t get involved to get dogs to do yoga. It was to show how they relax. I tell people not to force their dogs into positions. But yes, we have dogs who do yoga all the time, not just when we tell them to - which is the way it should be. P: What happens to the animals after their performances are over? B: For the most part, the animals live with us. That's why we have 23 dogs and 18 are unemployed actors! They are our pets now. P: During a performance, do you get nervous for your canine actors? B: Yes. 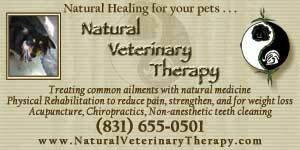 Any trainer who thinks you can control nature is wrong. I’m with them every time they’re on stage. 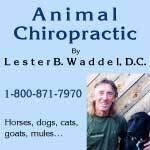 The minute you get lazy when you’re working with animals, you have to get out of the game. P: How long will you be doing this? B: I want to hang in there 15 more years for the 50-year revival of Annie. P: How long will Annie run? B: We hope forever. It remains topical to every age group. Sunny, the current actor, who of course is a rescue dog, will be on Broadway, and Casey, the back-up will go out with the tour. P: Do you sometimes feel that where you are now is too good to be true? B: I feel like someone is looking over my shoulder. I’m just pleased and surprised when a bit of fortune comes my way. It is time to wrap up the interview and I have to say good-bye to Bill. I picture him in the morning as he meets his two newest little animal actors. I think back to his last comment and I wonder. I just wonder if that someone is Sandy!